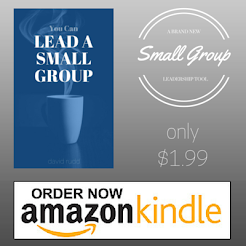 Here are some simple ways to build community in a small group. (this is a modified post that was borrowed from Josh Harris who borrowed it from Michael Hyatt). * What is your idea of a perfect vacation? * If you could design your ideal job, what would it look like? * What is the best book you have read in the last 12 months and why? * What is the most important lesson you learned from your father? * When is your very favorite thing about your spouse? * If you were by yourself, and could listen to any music you want, what it be? * If you could spend a day with anyone on the planet, who would it be? * What it is like to be your friend? or to be married to you? * If you were suddenly the President of the U.S., what would you do first? * Looking back over your life, what would you describe as your proudest moment? * How did it feel when that happened? * Can you elaborate on that? * Why do you think that is important to you? * Do you think you would have answered the same way five years ago? * What emotion do you feel when you describe that?